I touched on this whole music/writing spiel back in February, when I wrote about what songs I listen to when writing action scenes. This post is going to be a little different. Playlists are a great tool to evoke emotion when you're writing. But I'll do you one better. When you make your own novel soundtrack, you not only have a great writing tool, but an exercise in theme, characterization and plot. OKAY. 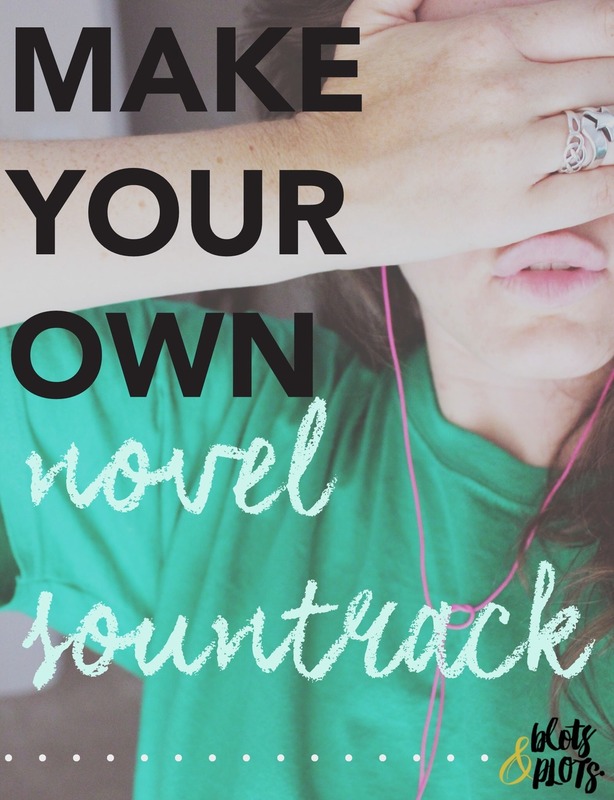 So let's talk about how to make your novel soundtrack. How do you know what songs to pick? Which ones make the cut? Pick based on lyrics that represent your characters' voices. Bonus? Create a playlist for each character. Pick based on lyrics that honor a theme in your book. For example, loneliness or coming-of-age. Pick based on lyrics that reflect your setting. If you're writing a story based in Ireland, try listening to some songs by Irish artists. PICK A RANGE OF SONGS. "The Rain" is an upbeat song, but foreshadows some relationship problems. The next song, "over you" is the aftermath of that, and slows the story down. "Heartbreak World" compliments this new shift. PICK SONGS FOR THE MUSIC. Music makes you feel things, just like words do. Sometimes, I choose songs just because they musical arrangement mimics the feel of the book. Most of my songs are because of the music/lyric combination, but I love the sound of "Let's Be Still" by The Head and The Heart. I put together my playlist in Spotify, which I recommend. Another amazing resource is 8tracks. Share your soundtrack with your followers, and share it on your blog. It's important to give your readers something to connect with, something to draw them even further into your story, especially when they're still waiting for it to be published. You can learn more about my novel here. Okay, without further ado, here's my novel soundtrack. There's also a link to my Spotify playlist, if you happen to be a user! Discussion Time: What would be on your novel soundtrack? Comment below!